Create an invigorating and productive feng shui office by selecting the right colors. The best way to select feng shui office colors is to use colors assigned to the five elements as your guidepost. The wood element colors of green and tan (light browns) are ideal for an east (health luck) or southeast (wealth luck) office since the wood element governs both sectors. In addition, wood fuels fire, so be sure to add splashes of green and brown in a southern office. You may decide to go strictly with these colors for a southern office décor. Blue and green are good color combinations for east and southeast since the water element (blue) nurtures wood (green). When you use green and/or brown in your feng shui office, you are using the colors that represent the wood element energies. These energies promote growth and expansion. These are excellent properties for any home or company office. The green provides a restive and calming psychological effect that can be a great buffer against a hectic workplace or home office fast paced environment. 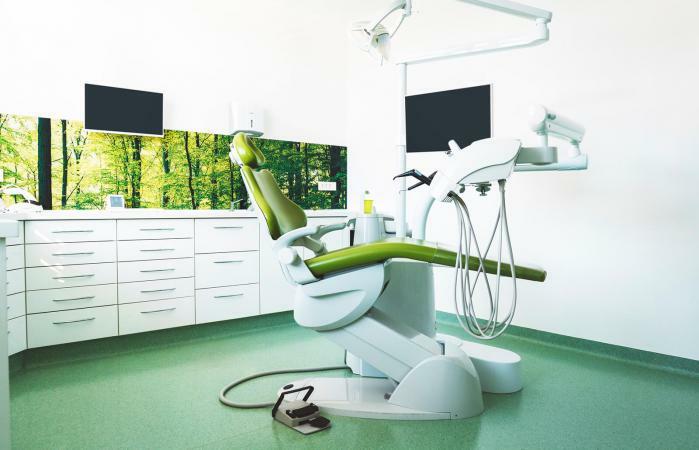 An east office in a health-related business can tap into these beneficial health energies, such as a dentist or doctor's office. Any company business dedicated to growth, opportunity, and expansion can capture those energies using green and tan in office décors. The east sector office will greatly benefit from the health luck that can restore health to a failing business or a business suffering from poor growth. Green is a good choice for any financial business, especially when combined with the color gold. This is especially true of southeast (wealth luck) offices. A business associated with nature can optimize the green and brown combination colors for office décor. A company involved in the furniture industry as a manufacturer or retailer always benefits from the wood element and representation in colors. The fire element color is red and ranges from the lightest to the darkest color values. If your office is in the south compass sector, governed by the fired element, then decide on how intense you want the presence of red. A good color combination is red (fire) and green (wood) or red and tan. Red represents the fire element that attracts fame and recognition luck. These are very beneficial energies to represent with color and activate with elements in your home or company office. Red is a stimulating color and can be introduced to boost productivity or morale. If your business is home-based, you can utilize the fire energy to gain greater recognition in your own business or if you're a remote worker, to achieve a promotion or higher status/ranking. A marketing company can boost its reputation and gain more recognition and fame when tapping into the fire element energies as well as its symbol of the color red. A PR firm or talent agency is an ideal candidate for this office color choice. The earth element is symbolized by the color ochre (yellow). Use this color as a main color for a southwest (love and relationship happiness luck) or northeast (education luck) home office or company office. You can also add other colors to enhance the energies, such as a brown for a darker earth color. The earth element also govern the center of a home or building. If your office is in this location of your home or company building, then be sure to use ochre as your main décor color. Good color combinations include red (fire produces earth (ash)) and yellow, or orange (fire color variation) and yellow. The earth element and its ruling ochre color can bring the southwest and northeast energies to enhance your business, status and increased knowledge. An office used for training is a great space of using the color ochre to enhance the learning process. If you're in sales, these energies and the inclusion of ochre in your office décor will attract happy business relationships that can boost your status, income and overall business success. If your industry caters to the emotions of love and romance, add ochre to your décor to capitalize on the southwest energies. A business within the educational field or a college/university employee should include ochre in their office décor. The metal element is represented by the colors white, gold, silver, and copper and various values of these colors, such as yellow. Gold and white are a good color combination. When it comes to the metal element, if your office is located in the west (descendants' luck) or northwest (mentor luck) sectors, you'll greatly benefit by using gold, silver, or copper colors in your décor design. If your career is anchored in a business catering to children of any age, such as toys, clothing, food, and other products, you can create a décor with any metal color, such as gold, silver, or copper. The offices of a family business that will be passed on to the children can take advantage of the descendants' luck metal colors. If you work in an industry that provides tutors, teaching products, or any type of mentoring, then select one or more of the metal colors as the prominent one in your décor. The water element is represented by the colors blue and black. The north (career luck) office is governed by the water element. You can also use metal colors since metal produces water in the productive cycle. A good color combination would be to use blue (water) with any metal color, such as white. You can capitalize on the career luck energy blue and black bring to an office space. These colors can be used separately or together in an attractive combination. A staffing agency is the ideal business for using blue and black feng shui colors. Any business in a water industry should select a décor in different blue values with black as an accent color. A business office within any fluid industry, such as oil, liquid cosmetics, and more can utilize the feng shui energies found in the water colors. 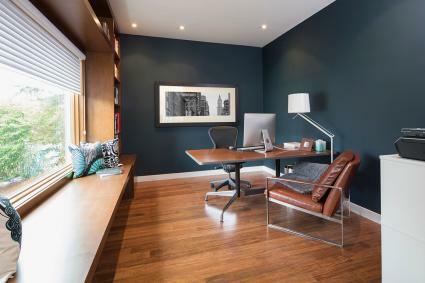 Whether you work from home or in a commercial office building, you can take advantage of feng shui office colors to enhance your career and work environment. When you follow feng shui principles for element colors, you tap into those governing energies to enhance your office space and daily work production.